Tip 1045: Where are the IMAP sent messages in Outlook 2013? As more people try Office 2013, I'm seeing more complaints and confusion about Outlook 2013's handling of IMAP sent folders. I upgraded from Outlook 2010 to Outlook 2013. Is it true that "Saving Sent Messages" on the server is no longer possible with IMAP servers? If not, where are my "Sent Messages"? When I look at a conversation, sent messages show up and Outlook shows that it's in the "sent" folder but I can't find it in my Sent folder. As I mentioned in the last tip, Outlook 2013 gets the Sent Items folder from the server using the XLIST command and falls back to the local Sent Items folder if the IMAP server does not support XLIST. Users can no longer select a sent folder to use. How this works: when you set up the account, Outlook "talks" to the IMAP server, "asking" what the server supports. If the server supports XLIST, it responds with the folder that should be used for Sent items. 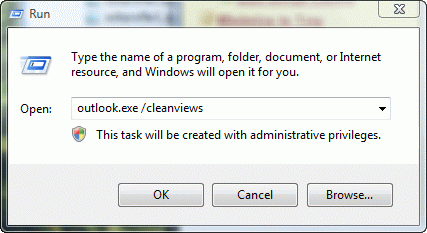 If the server does not use XLIST, Outlook 2013 uses the local Sent items folder. If you want to use a different folder, you need to rules to move the sent item. [tx] md83 XLIST "" "*"
[rx] * XLIST (\HasNoChildren \Inbox) "/" "Inbox"
[rx] * XLIST (\HasNoChildren) "/" "Junk E-mail"
[rx] * XLIST (\HasNoChildren) "/" "Outlook Users"
[rx] * XLIST (\HasNoChildren) "/" "Tips"
[rx] * XLIST (\Noselect \HasChildren) "/" "[Gmail]"
[rx] * XLIST (\HasNoChildren \AllMail) "/" "[Gmail]/All Mail"
[rx] * XLIST (\HasNoChildren \Drafts) "/" "[Gmail]/Drafts"
[rx] * XLIST (\HasNoChildren \Important) "/" "[Gmail]/Important"
[rx] * XLIST (\HasChildren \HasNoChildren \Sent) "/" "[Gmail]/Sent Mail"
If you can't find the sent folder but see the sent items when you use the conversation view, you can use the macro at Folder: Get the path to identify the folder path. Simply select a sent message in a conversation and run the macro. A message box will show you the path (in \\alias@domain.com\Inbox\Sent format) and you can click the button to switch to it. If you switch to the Folder list (Ctrl+6) after letting the macro take you to the folder, it will be expanded so you can see where it is in relation to the other folders. Folders marked with "(This computer only)" are stored in the local data file. They are not uploaded to the server. 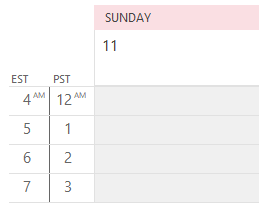 When you create an Outlook 2013 profile that contains only an IMAP account, your calendar, contacts, notes, and tasks will be stored in the IMAP data file (*.ost). These folders are marked with (This computer only) for easy identification. If your IMAP data file includes folders marked (This computer only) and you want to keep the contents, you need to export those folders to a pst file before removing the IMAP account from your profile. Published December 3, 2012. Last updated on August 7, 2014. The problem has been solved and its very easy for Outlook 2013 ..
1- Go to File then select Account Settings. 3-Go To More Setting then advance. 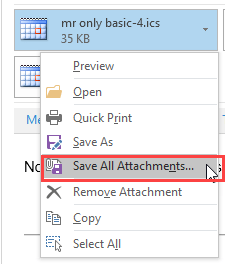 4- Remove the tick from ' Do not save copies of sent items. "not upload anything in sent folder on outlook 2013"
Is there more than one Sent folder? 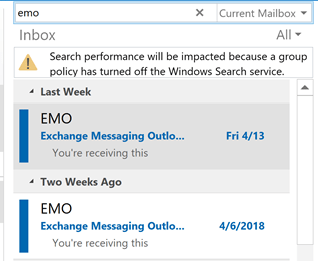 (Outlook could be using the "wrong" one). Are there any error in the Sync issues folder? Can you select a folder (log into web access and look at the options) to use for sent item? I have outlook 2013 and a customer who sends many emails a day on their iMap account and I cannot for the life of me, after hours of searching change the Sent folder Imap to a Sent folder (This computer only) which will save me lots of vital server space. Has anyone been able to do this? I run a Linux Server with Cpanel and WHM. You can do it per message - Save sent to > other folder. That will be a pita though. Can you run a macro? I might have one that sets that value on send. This does not work with Gmail on Outlook2013. I have the save in sent folder unchecked and I still get 2 copies of sent items in sent mail folder. M$ clearly wants to try break anything and everything google whenever possible. This is written way over my head. Can someone explain the basics, please? I just need to know how to access my sent emails. Who is your email with? Switch to the Folder list module - you can use the keyboard shortcut Ctrl+6 to make the switch - then look over all of your folders and expand the folders marked with little triangles. Do you see a folder called Sent Items or Sent Mail? Thank you so much D Poremsky! You're a life-saver! I was getting REALLY frustrated and you solved my problem.